Important note: Fumo Pipe sold separately. If you would like to purchase the Fumo Pipe and Domeless Nail together and save even more, visit the Fumo Pipe or Fumo Pipe Bling Series product page. Still going strong, the Fumo Pipe is a customer favorite thanks to its super easy design allowing you to carb at the push of a button. Now you can take all that convenience and adapt it to become a highly portable oil vaporizer. 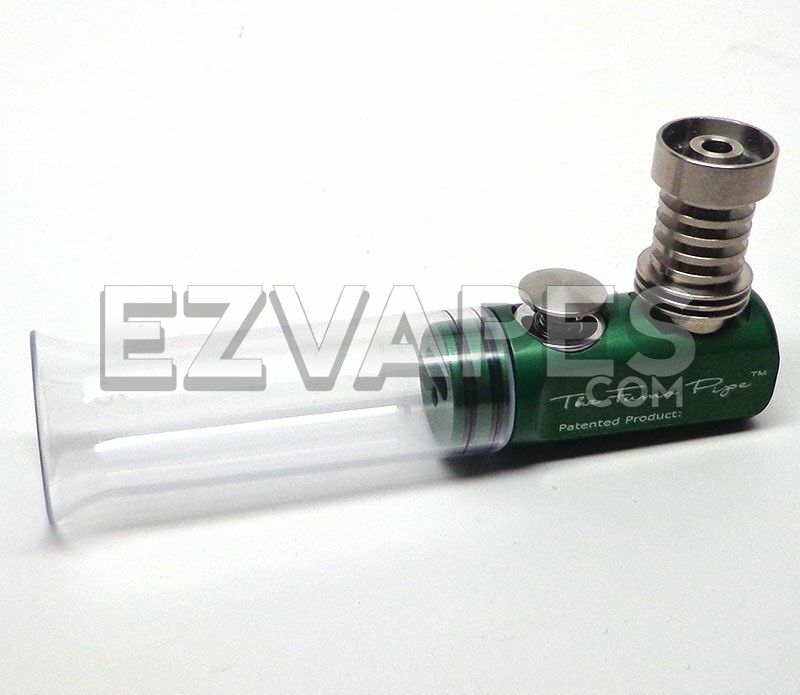 The domeless titanium nail screws right into the Fumo Pipe's threaded space that usually houses the bowl. This secure threading makes a perfect fit so you don't have to worry about the nail moving or falling out. The top has a deep scoop to soak up those precious botanical concentrates and when you are ready for the pull, simply carb the Fumo Pipe as usual and enjoy. No stand, adapter or attachment is needed since the Fumo Pipe can sit straight up on its own with its flat billet aluminum bottom. That means if you have a Fumo Pipe and you have the nail, you're set.